This modern and spacious apartment in the popular district of Eixample is ideal for your holiday in Barcelona. Eixample is renowned for its world class architecture, grid-like streets and many bars, restaurants and cafés. The apartment is centrally-located just a short walk from Passeig de Gràcia, where you can find high fashion stores and trendy eateries. 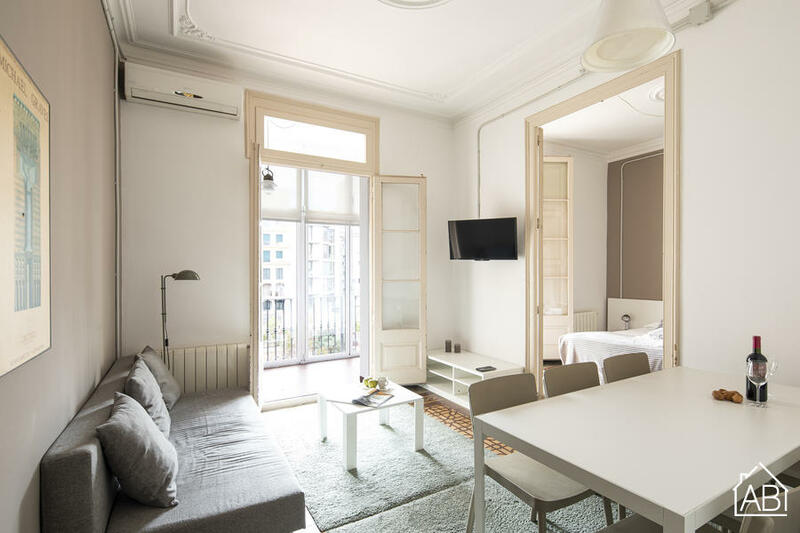 The apartment is also well connected to the other parts of the city such as the Ciutadella Park, Sagrada Familia and Gothic Quarter, by public transport and on foot. This apartment can accommodate up to a maximum of 9 guests with 4 bedrooms and 2 bathrooms. The bedrooms and the bathrooms are very modern in design. The kitchen is fully equipped, so you can easily cook all your favourite meals at home, or even try out some Spanish dishes. This apartment is also equipped with other features to give you maximum comfort, such as air conditioning, heaters, Internet, satellite TV, washing machine and a dishwasher.